Seems like a mighty risky proposition to me, but a stout sawed-off double-barreled shotgun is a hearty incantation, to paraphrase Conan of Cimmeria. 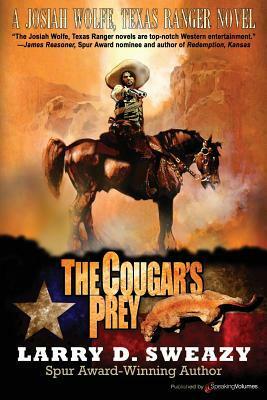 I can’t find an artist credit on the cover of The Cougar’s Prey, but I appreciate the hombre’s homage. 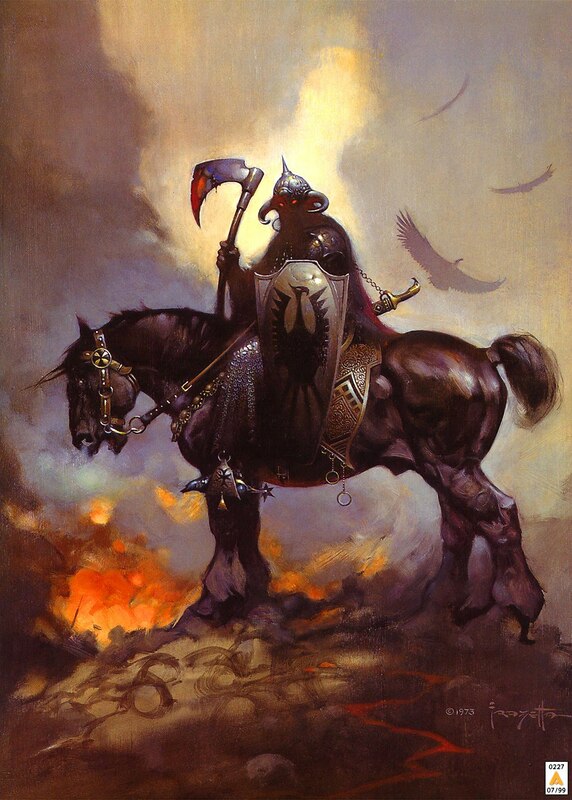 Frazetta will dominate the landscape forever, methinks. The Death-Dealer painting has become quite the meme to the point, like the Punisher skull, it became a symbol for the military. Of course, just looking at the picture sends chills down ones spine. I don’t play video games much (at all, really) but I recognized it immediately. Looking at it again, and the horse, it’s not even homage…it’s blatant copyright infringement from Frazetta and from Rockstar Games. Literally the same images, photoshopped together. Ballsy move. Horse stealin’ and identity theft in one fell swoop. … and a productive day on the border it was.